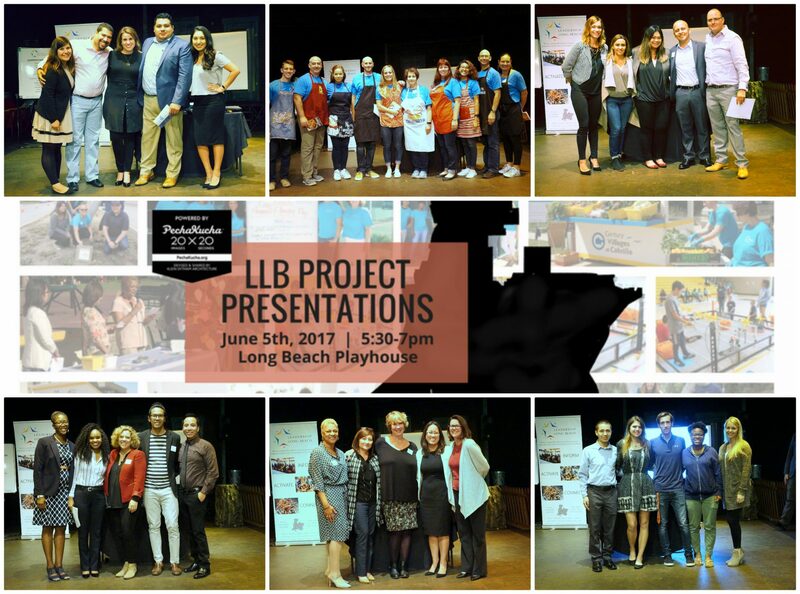 The Leadership Long Beach Institute and Youth programs presented their projects to a gathering of 100+ people at the Long Beach Playhouse on Monday, June 5th. The Institute projects for 2017 were Farm Stand, Good Grief Event, Median Beautification, College Promise Day and Financial Planning Day; the youth project was the 5th Annual RoboBowl for LBUSD middle schools. Using the PechaKucha presentation styles of showing 20 slides at 20 seconds each (400 seconds = 6.6 minutes), each group were able to present their project information from idea to implementation to next steps.